Energy Star is a partnership among government, business and consumers that seeks to protect and preserve the environment for the future. First used by the Environmental Protection Agency (EPA) to identify energy-efficient computers, the Energy Star label has expanded to identify energy efficient appliances, homes and buildings. Since the introduction of the Energy Star label, Americans have purchased more than one billion products that are carrying the Energy Star label and improved the efficiency of thousands of homes and buildings. Making your home more energy efficient with Energy Star can help to reduce high energy bills, improve comfort and help to protect the environment. Improving energy efficiency is also an important first step for homeowners interested in green remodeling. Energy Star can guide you in making your home more efficient - whether you do-it-yourself or hire a qualified professional. Getting a handle on your home's energy use is an important first step to improving efficiency. Energy Star offers the online Home Energy Yardstick to help homeowners assess their energy usage compared to similar homes. Replacing old windows, unsealed doors, or leaky skylights with ENERGY STAR certified models lower household energy bills by an average of over 12 percent nationwide. Lower energy consumption also reduces greenhouse gas emissions from power plants and shrinks a house's carbon footprint. The ENERGY STAR Home Advisor is a comprehensive assessment that can help you improve your home's energy efficiency while adding comfort and value. Save up to 20% in cooling and heating cost by sealing and insulating your home. Sealing and insulating the "envelope" or "shell" of your home - its outer walls, ceiling, windows, doors, and floors - is often the most cost effective way to improve energy efficiency and comfort. As much as half of the energy used in your home goes to heating and cooling. So making smart decisions about your home's heating, ventilating, and air conditioning (HVAC) system can have a big effect on your utility bills - and your comfort. How Do I Identify Energy Star Qualified Products and Equipment? When shopping for equipment such as appliances, electronics, lighting, HVAC systems, and personal office equipment, look for the Energy Star logo. These products use less energy, save money, and help protect the environment. See the links below for more information." Easy to use calculators, graphic tools and tips are available to help home owners save money on their utility bills. Use these resources to effect your bottom line and the climate. this tool how energy is used in your home. Take a room-by-room tour of Energy Star@ home and learn what you can do to save energy, save money and help protect our environment in your own home. Use this tool to watch your savings and impacts add up with your own customized dashboard that tracks your savings progress. My Energy Star is your personalized page for saving energy with ENERGY STAR. It allows you to track all of your actions, their impact and discover special deals. Visit often to update your account and see what's new. Interact with Energy Star's programmable thermostat tool to learn how to use thermostats most efficiently, saving money and energy along the way. Even if you rent an apartment, townhouse, or a home, you can make a big difference, too! These tips will show you how to be more energy efficient and save energy, money, and reduce the risks of global warming. If there are things you can't change on your own, share these tips and encourage your landlord to help you make a change for the better. This guide is designed to help you make decisions about how to increase your home's energy performance in a way that maximizes energy savings while preserving the historic character of your home. Energy Star certified new homes must meet strict energy efficiency guidelines set by the U.S. Environmental Protection Agency. These homes are independently verified to be at least 15% more energy efficient than homes built to the 2009 International Energy Conservation Code (IECC), and feature additional measures that deliver a total energy efficiency improvement of up to 30 percent compared to typical new homes and even more compared to most resale homes. Also see MLGW's EcoBUILD program as an alternative to Energy Star certified new home construction. The Home Advisor recommends home improvement projects to increase energy efficiency and comfort in the area where you live. Insulation level are specified by R-Value. R-Value is a measure of insulation's ability to resist heat traveling through it. The higher the R-Value the better the thermal performance of the insulation. The table below shows what levels of insulation are cost-effective for different climates and locations in the home. 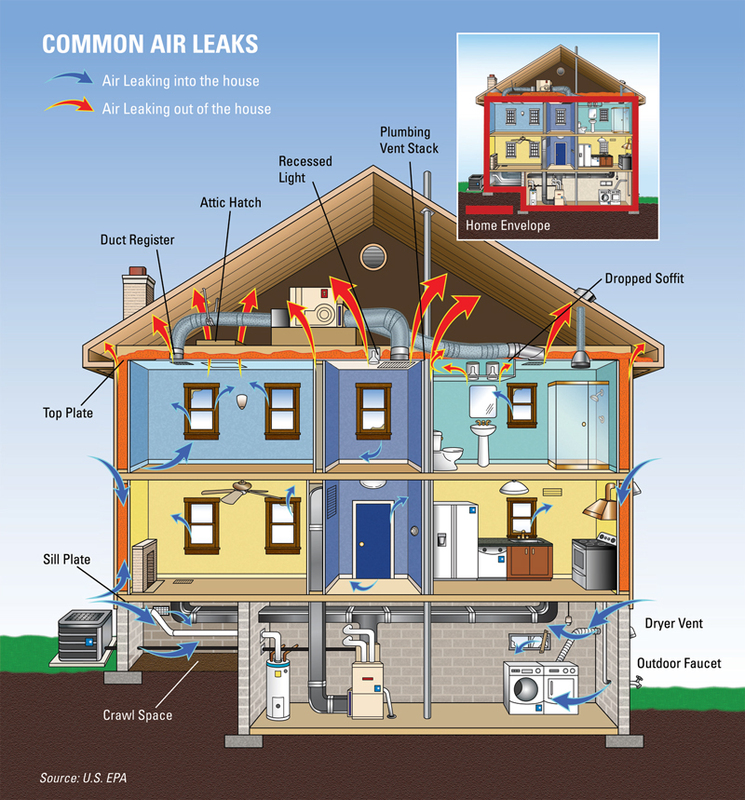 Also see the common air leaks tool which shows the locations in homes where insulation and sealing is needed. The Guide is an interactive online tool designed to show consumers which compact fluorescent (CFL) types are most appropriate for certain fixtures. The Guide also demonstrates the differences between soft white, bright white, and daylight color temperatures, and provides tips for proper CFL use. Use the store locator below to find other retailers in your area. You will need the zip code of the area in which you would like to shop. Because store locations change frequently, please contact the store directly before you travel. To encourage customers to buy energy efficient products, ENERGY STAR partners occasionally sponsor special offers, such as sales tax exemptions or credits, or rebates on qualified products. Energy Star distinguishes energy efficient products which, although they may cost more to purchase than standard models, will pay you back in lower energy bills within a reasonable amount of time, without a tax credit. Note that not all Energy Star improvements and products qualify for a tax credit. Is your home cold, drafty, or uncomfortable? Do you have high energy bills? Ice dams? Peeling paint? Excessive dust? Addressing these types of home problems can make your home more comfortable, and at the same time improve its energy efficiency - saving you money on utility bills and helping to protect the environment too. Certain telltale signs indicate it's time to consider replacing heating and cooling equipment, or improving the performance of your overall system. It may be time to call a professional contractor to help you make a change. Learn the important steps to take and questions to ask when securing a contractor to complete HVAC work in your home. How Can I Find Out More About Energy Star?